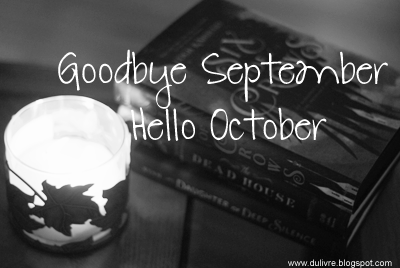 Du Livre: Goodbye September, Hello October! September has come and gone and we welcome October with hoodies, lattes, and spooky reads. I don't normally do monthly recaps, but I felt the need to for September. September 26 marks the day that my husband and I started dating. This year was our six-year dating-versey (I prefer to call it our #roomieloverfriends anniversary) and we celebrate every year by go apple picking in Michigan. We didn't get as many apples as we usually do, but I do have plans to make my first apple pie. I'm a bake-from-the-box kind of girl, but I want to learn how to actually bake something from scratch. Any pointers or recipes will be definitely appreciated! Our weekend in Michigan was probably the highlight of my month. That or I don't remember what else I did in September. Oops. My husband's friend lent us his pretty DSLR basically until he remembers that he lent it to us. I've been using this time to play with photography and try to take better pictures. I bought my first ever planner in September and have taken to highlighting, writing, and sticky post-it notes with abandon! Seriously, I'm addicted to planning things out. I have things planned out on my blog until early December. Have I actually followed through on any of this? Of course not, but it gives me a false sense of accomplishment! 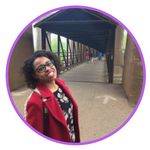 I'm also playing around with a new blog design. I haven't truly begun looking, hell, I don't even know what I want, but hopefully I'll have a solid plan by the end of the year. I did fan-frickin-tastic this year regarding reading. Usually, I read about 7 books per month, but this month I read a whopping 12 books. I know. I think it was the cooler weather, it felt like I should read! Here are the books I read in September! Now we look towards the future! I'm very excited this October for a PLETHORA of reasons. So this October is going to be SUPER exciting for me! Here's what I plan on reading as well! What are you looking forward to the most in October?